Many homeowners in Eastern Idaho live in rural areas where the only source of water for their home is a well. We are often asked the question, "how deep is my well". Luckily there is a simple answer to this question because wells and well drilling companies are regulated by the state. They are regulated to ensure that our underground water resources are protected against misuse and contamination. When a well is drilled on a property, the driller must first get permission to do it. When permission is granted, a well tag number is issued for the well. 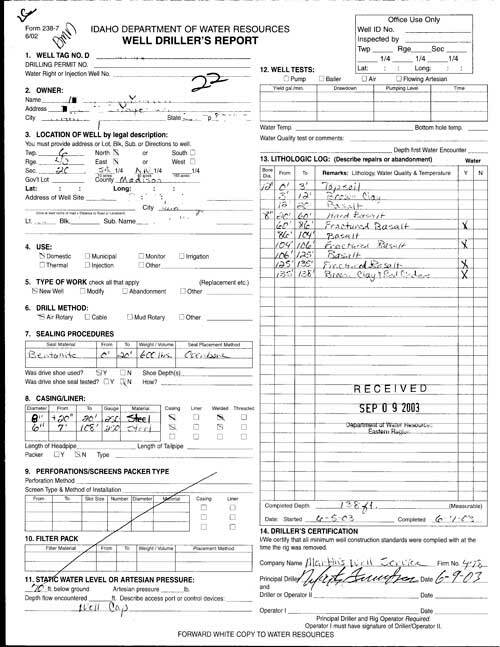 This number is recorded at the Idaho Department of Water Resources. It is also stamped on the side of the well where the casing comes out of the ground. 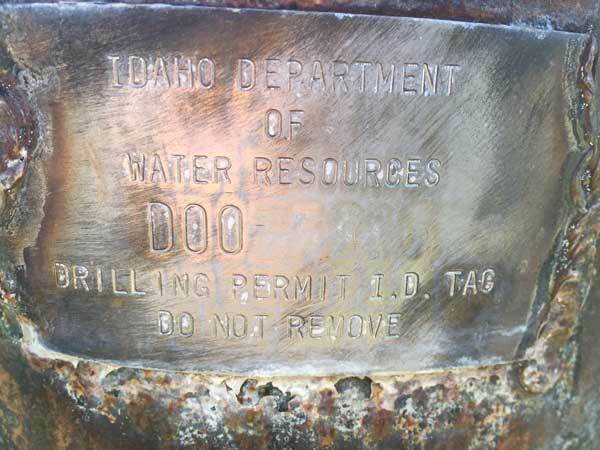 A sample of an Idaho Well Tag is shown to the right. Find the well on your property. Look on the casing and find the stamped well tag. Take a picture or write down the number on the tag. Enter the full well tag number into #1 and click the search button. A list of well tags will show up. Click on the Well Log link. View and download the PDF file.